Ray Bates has provided a critique of the IPCC Special Report on 1.5C promoted as a ‘paper’ (it is no such thing in that it is not a rigorously peer-reviewed piece) by the GWPF – a highly questionable think tank. This piece has garnered some interest in the Irish press and I am quoted as critical of it and the associated views in a piece in the Irish Times. To be crystal clear: a free press is an essential component of a healthy, vibrant democracy and it would be strange for the media to completely censure views. Furthermore, journalists only have a finite amount of real estate to work with. Also, journalism is a real-time business and a tough gig. Hence here I am taking the opportunity to more clearly lay out from a scientific viewpoint why the piece being reported upon is fundamentally flawed and the IPCC SR1.5 report stands on its merits. The societal response and policy aspects I shall leave for another day but suffice to say I am more optimistic and view national leadership on acting on climate change, if done right, as a real national opportunity for all Irish citizens. And that the statement did not necessarily assert that more than half of the warming is due to human influences. He goes on to contend that SR1.5 departs from AR5 in contending that all the warming is due to human influence. Figure SPM6 from IPCC AR5 WG1 report. 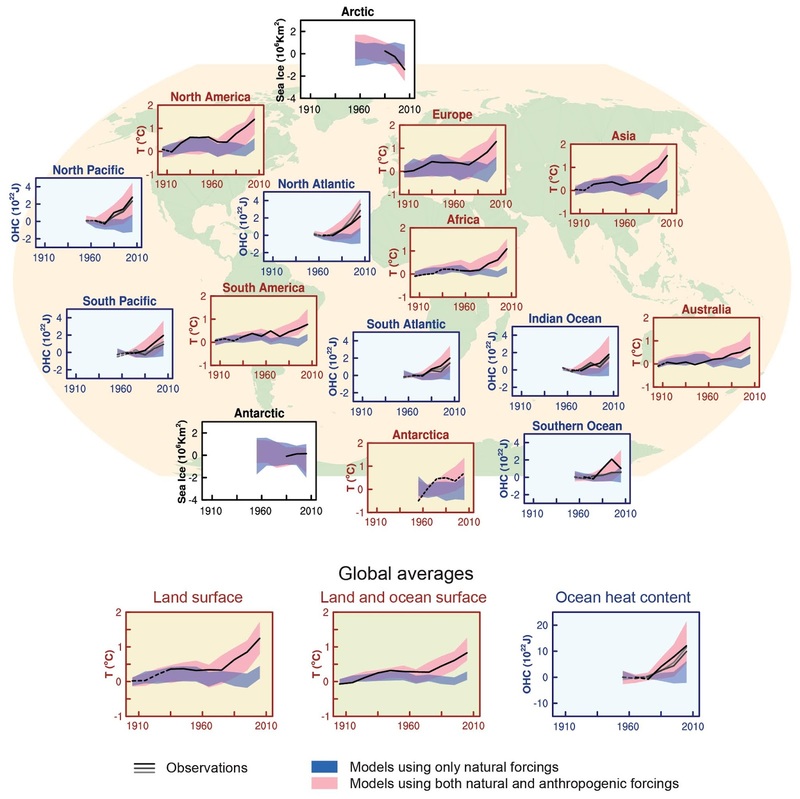 Changes for simulations with human influences (pink) and without (blue) for a range of global and continental and ocean / cryosphere indicators. Human influences explain effectively all the change seen since the early 20th Century. 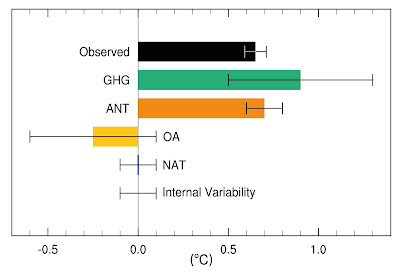 Figure 10.5 showing attributable contributions to the observed change (black bar) from Grrenhouse gases, all anthropogenic forcings, non-greenhouse gas anthropogenic forcings, natural forcings and internal variability. The best estimate is that anthropogenic contribution to warming slightly exceeds that observed (balanced by variability / natural forcings). It is in no way only half the warming. 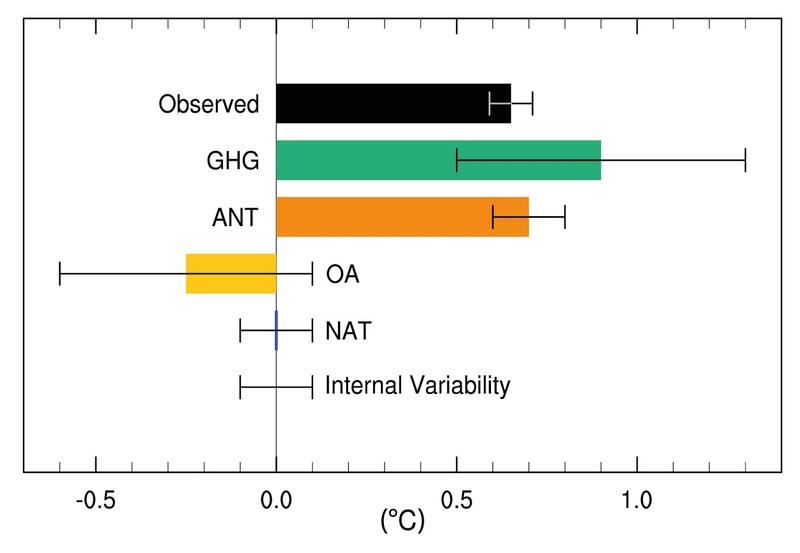 So, does SR1.5 start from a distinct premise from the AR5 conclusions around attributable warming contribution from us humans? That’ll be a resounding no. Ray Bates goes on in his piece to imply nefarious intent behind the IPCC considering only the post-1960 series of GMST in their SPM figure. The choice is reasonable because the attribution statement in AR5 (and the prior figure) pertained to post-1950 changes. Furthermore, in the underlying chapter 1 Figure 1.2 the full series from 1850 is shown. The SR1.5 is hardly ignoring the early period as implied is it? Ray Bates then goes on to show a satellite dataset that shows less warming than the surface. It is true that the UAH dataset does, indeed, show less warming than the surface. What’s the issue? Well, satellite data are no gold standard. You put a delicate instrument on top of a controlled explosion to send it into space then expose it to vagaries in space weather. Unlike the surface there are not hundreds of instruments there is one. It can drift in the sampling and it can degrade in performance over time. What happens if another group also go to the trouble of creating a product from the same instruments in space? Well, they find greater warming than at the surface. I’m not going to argue one of these is right and the other wrong. I’m just pointing out that satellites aint no gold standard. Indeed, AR5 concluded that the surface was robust whereas the tropospheric changes while certain of the sign (warming) were uncertain in magnitude. As I lead that portion of the AR5 assessment I am uniquely qualified to make this statement. Ray Bates goes on to throw in a couple of red herrings on the Oceans for good measure. He states that an emerging signal of warming of land faster than oceans in the observed record is problematic. Well, no, its actually what we expect as an emerging signal of climate change and it will only get worse. As SR1.5 points out much of the global land domain already experiences seasonally or annually changes exceeding 1.5C. Don’t believe me? Here is Figure 12.11 of the SPM of AR5. 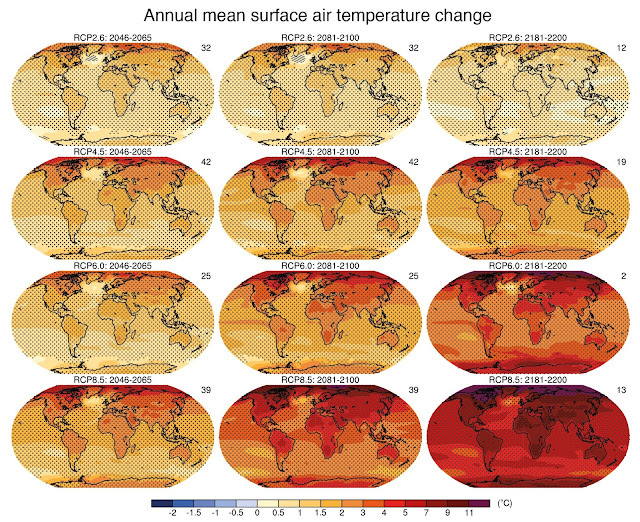 Note how the land warms more than the oceans in all cases. 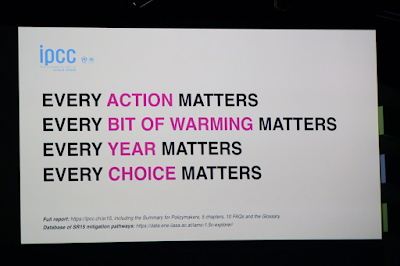 Note also how our choices matter in determining future generations climate. Figure 12.11 from AR5. Land robustly warms more than oceans. I sure don’t want my descendants inheriting that bottom right world. Can we please make efforts to make the top right reality? These preliminary results are considered of interest for the ongoing community efforts focusing on coupled data assimilations. 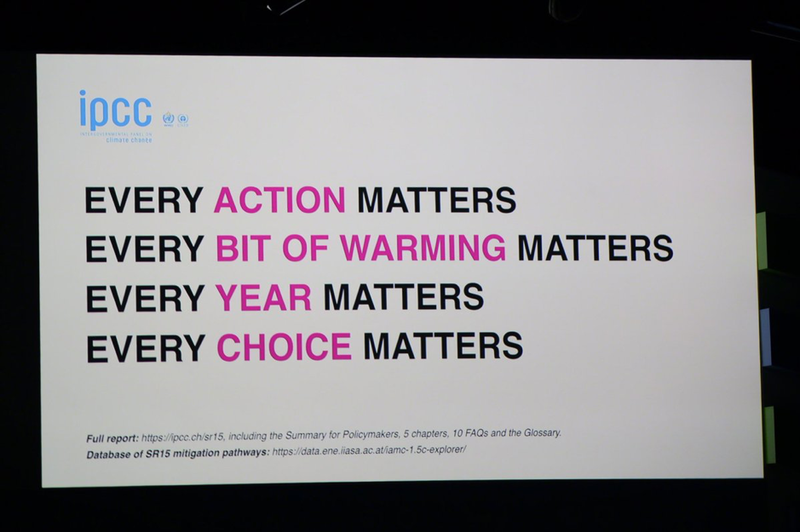 Why would IPCC be expected to rely upon an experimental data assimilation system analysis? Well, exactly. The section on climate model tuning is very confused indeed. I was involved, when at the Met Office, in the model tuning and evaluation exercises. I saw lots of effort concerned around getting critical processes such as El Nino, mid-latitude storm tracks and monsoon variations adequately as well as the mean state. I never saw an effort to tune the model to reproduce the observed trends or to determine some state in 2100 in the projections. I also saw significant efforts to run perturbed ensembles and these have been done even more so in the citizen science www.climateprediction.net experiments. To claim that the model tuning is an issue that is unexplored or a major issue is incorrect. The section on ECS is, to put it politely, selective. Fortunately I don’t have to waste many words here as there has been a recent major review piece written by Reto Knutti and colleagues - the figures are not behind the paywall and any number of these give a much more holistic assessment as to the state of our knowledge on the topic. The bottom line is that contrary to the assertion of Ray Bates if anything the lower bound on ECS has increased since AR5. The good news here is there is a whole chapter devoted to it and related matters in AR6. Ray has had a long and distinguished career. But that career has been in atmospheric dynamics and not climate. Yes, both are to do with the atmosphere, but when your toilet is backing up you call the plumber and not the electrician. In the same way when looking for guidance on climate change it is advisable to listen to the climate scientists of which there are many thousands the vast majority of whom (and I mean vast) concur with the broad findings of the IPCC and various national assessments and national academies that climate change is real, its due to us, and that our choices now are of critical import. Equally, if you want to discuss the intricacies of atmospheric dynamics please don’t come knocking at my door! Drought has begun to fade from the national conversation following a week of rain, but observations show that Dublin remains in the grip of the one of the most intense flash droughts, probably the most, since at least the middle of the nineteenth Century. There are numerous definitions of drought. None are perfect. In Ireland we have tended to use an index called the Standardised Precipitation Index (SPI) (McKee et al. 1993). This makes sense in that most of the time it is a lack of rainfall that leads to drought in our relatively moderate climate. But there are other indexes such as the Standardised Precipitation and Evapotranspiration Index (SPEI) (Vicente-Serrano et al.2010) which, in addition, account for removal of water via evaporation and plant transpiration. This index is arguably better for characterising flash droughts that tend to occur in the warm season. It uses a combination of monthly rainfall and temperature records. The Noone et al. 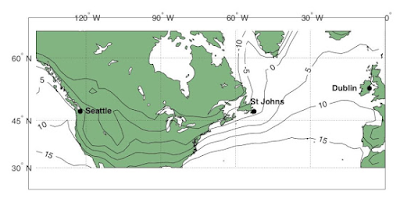 (2015) assessment of variability and change in precipitation over the period 1850–2010 indicates positive trends in winter and negative trends in summer precipitation. Noone et al. (2017) produced a 250 year drought catalogue for the Island of Ireland by applying SPI-12 ( a 12 month drought index) to identify long hydrological drought rich periods. The results show that Ireland is drought prone but recent decades are unrepresentative of the longer-term drought climatology. Ireland has experienced seven long drought rich periods over the period 1850-2015 impacting the whole of the island of Ireland; (1854–1860, 1884–1896,1904–1912, 1921–1923, 1932–1935, 1952–1954 and 1969–1977). But it is also possible to have ‘flash’ droughts, such as that in 2018. Phoenix Park is one of the longest continuous meteorological stations in Ireland. Records started in the early 1800s and continue through present. This long record is thanks to the significant efforts of Met Eireann, Ordnance Survey Ireland and others. 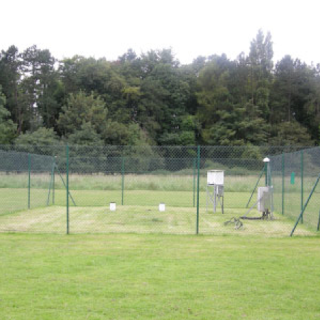 Although instrumentation has changed over time, the site has always stood in the grounds of Ordnance Survey Ireland and the regional environment has remained largely unchanged. The precipitation series was homogenised by ICARUS as part of Noone et al. (2015). 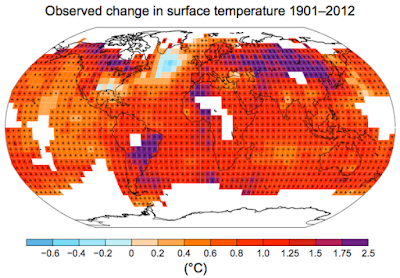 The temperature record has not been homogenised to date. * Met Eireann make monthly and daily summaries available. To perform the present assessment we have appended the July daily values aggregated to monthly averages** to the long monthly series and calculated SPEI-3 (a 3 month drought index) for the entire series. The provisional value of SPEI-3 for May to July is -2.70 which is the most extreme value on record, beating October 1995 by a whisker***. The next most extreme was August 1995. Before that the index values are sufficiently different to conclude that either 2018 or 1995 represent the worst flash drought since modern meteorological records began in Ireland, with 2018 marginally more likely. SPEI-3 values calculated at Phoenix Park January 1850 to July 2018. Red lines show 3 month accumulative deficits and blue lines show 3 month accumulative surplus. One important thing to note is that the two most extreme prior months occurred in the same year. This shows that drought can appear to diminish only to quickly return. We may well have had a week of rain (although even that in Phoenix Park amounted to only 47% of the long term monthly average rainfall for July), but that does not even begin to undo months of deficit. Table of the ten most extreme values of SPEI-3 in the Phoenix Park record. Negative values denote deficits. The more negative the index the more severe the drought conditions. 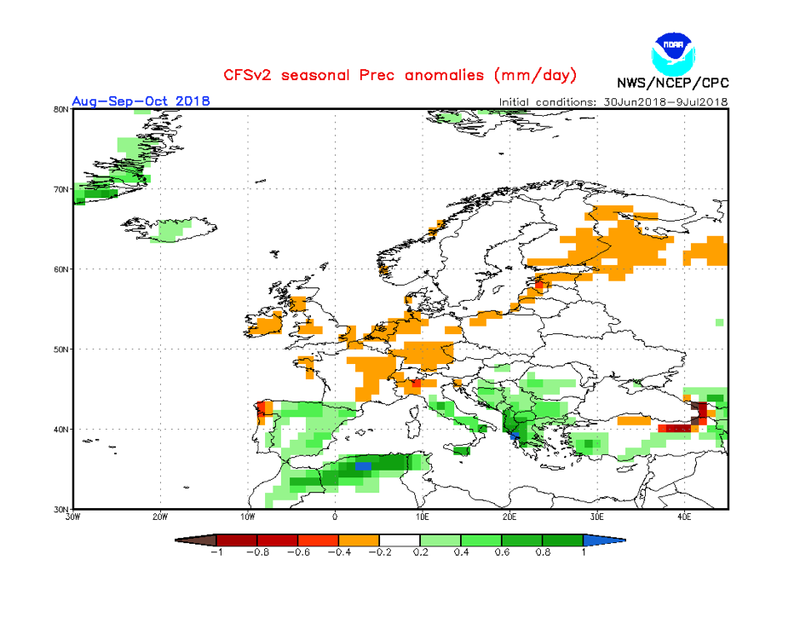 Perhaps more worrying still is the seasonal forecasts for the coming two months which show a real possibility of the meteorological set-up that led to the current drought returning and persisting. Don’t be fooled by a week of recent rains. We are potentially far from done yet. Current seasonal forecast output from the US National Oceanic and Atmospheric Administration CFSv2 system. Daily deficits of >-0.2mm/day are predicted. Note large uncertainties exist in seasonal prediction systems which should only be used as indicative guidance. ** Another reason to say probably rather than definitively in that monthly summaries have quality control applied by Met Eireann which may lead to a mismatch between the aggregated to monthly daily reports and eventual monthly summary of record. *** Yet another reason to say probably rather than definitively. Noone S, Murphy C, Coll J, Matthews T, Mullan D, Wilby RL, Walsh S. (2015). Homogenization and analysis of an expanded long-term monthly rainfall network for the Island of Ireland (1850–2010). Int. J. Climatol. 36: 2837–2853, doi: 10.1002/joc.4522.